When you put on your winter tires, you’ll need to find a spot to store and keep your summer/warm weather tires. Shove them in your garage (if you have room). Shove them in your basement (if you have room). Shove them in the trunk of your car (if you have room). Shove them in your shed (if you have one). Shove them against a wall (if you have room). While keeping your tires at home sounds convenient, it’s actually better (and safer) to rely on safe, secure, and dry tire storage from Ten Mini Storage. Picture it: A howling snowstorm with insanely cold temperatures. Heavy snow and thick ice are piling up everywhere. Have a dry, snow-free car in the garage that doesn’t require clearing or warming up? Keep your car in the driveway (where it’s buried under snow and ice) and protect your tires instead? You’d probably take the first option. Using self-storage for your tires frees up valuable space inside your home. You won’t need to cram your tires inside the garage or try to find an unused corner in the basement. Rather, your tires are kept in a secure storage space and you don’t have to give up a single inch. Something could fall on them. Something could scratch or puncture them. Someone can actually steal them. As a matter of fact, in 2016, police raided a Caledon home to find $100,000 of stolen tires. And since tires aren’t cheap, it can be pricey to replace them. None of that’s an issue when you keep your tires inside a storage unit. Firstly, there’s no chance of anything coming into contact with them. The only things inside your tire storage space are your tires. 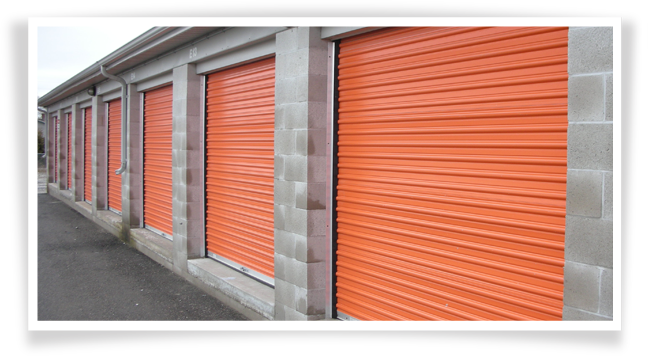 Secondly, security at Ten Mini Storage protects your investment with things like personalized key code access, video surveillance, security lighting, and safety gates. If you’ve never used tire storage before, you may worry about your set accidentally getting swapped or switched with others. That won’t happen at Ten Mini Storage. When you store your tires with us, they’re properly catalogued and tagged. So there’s no chance your tires will get lost or misplaced. Many people think tire storage is just too expensive. Some facilities charge $80.00 for 6 months of storage, while others can charge upwards of over $100. Not at Ten Mini Storage. Here, you can store your tires with us for 6 months for just $39.95. Peace of mind knowing your tires are in a safe, secure location. Better return on your investment (tires kept out of extreme temperatures tend to last longer). Look at it this way: If it cost you, say, $1000 for your set of tires, doesn’t it make sense to spend 3.95% of your investment to protect them? You shouldn’t worry about the condition of your summer tires once you’ve stored them away for winter. So don’t. Instead, bring your tires to Ten Mini Storage. And we’ll do it all for just $39.95 for 6 months of storage. Space is limited, though. Contact us now for more information or to book tire storage.